Democratic National Committee chairwoman Donna Brazile took umbrage with Megyn Kelly after the Fox News anchor grilled her about leaking a town hall question to the Clinton campaign. Kelly asked Brazile how she obtained a debate question for a CNN town hall that was read verbatim by Roland Martin of TV One, CNN’s partner for the town hall. 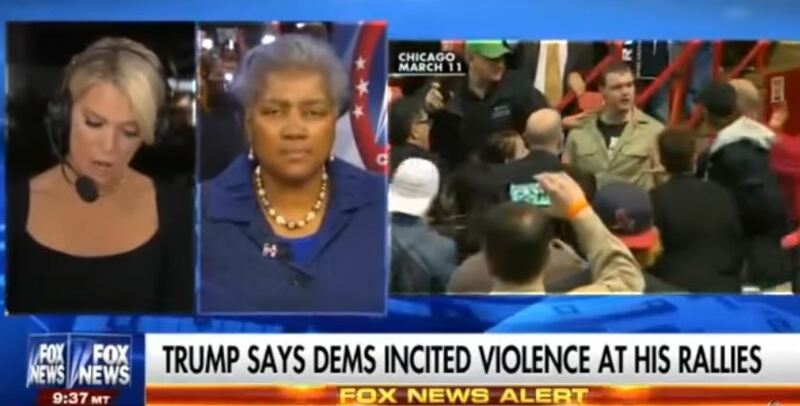 Brazile denied receiving any questions in advance from CNN and accused Kelly of persecuting her. Kelly pressed on, reminding Brazile that CNN’s Jake Tapper said that the leak was “unethical” and that he found the matter very upsetting. Brazile responded by saying that she wasn’t going to “validate falsified information,” especially from emails that may have been doctored by WikiLeaks.